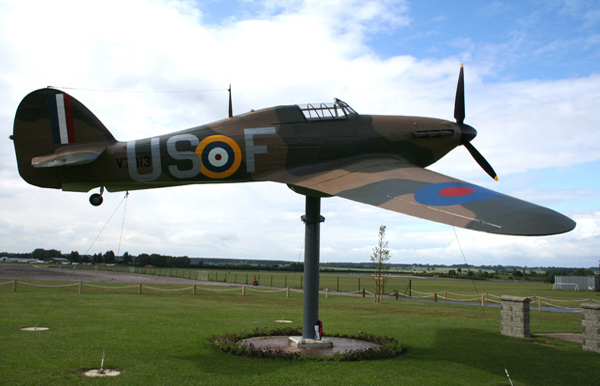 North Weald Airfield based in North Weald Bassett was founded in 1916 by The Royal Flying Corps, it continued to develop as an airfield between the two wars, with the construction of hangars and accommodation for Royal Air Force personnel. 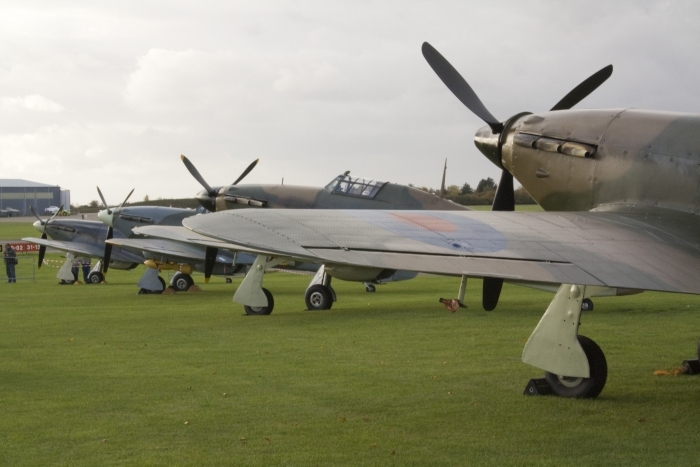 North Weald played its own part during the Second World War housing Hawker Hurricanes alongside Bristol Blenheim night fighters. 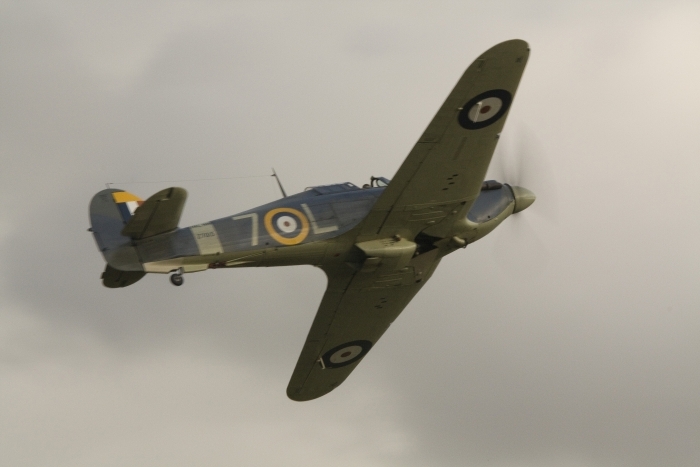 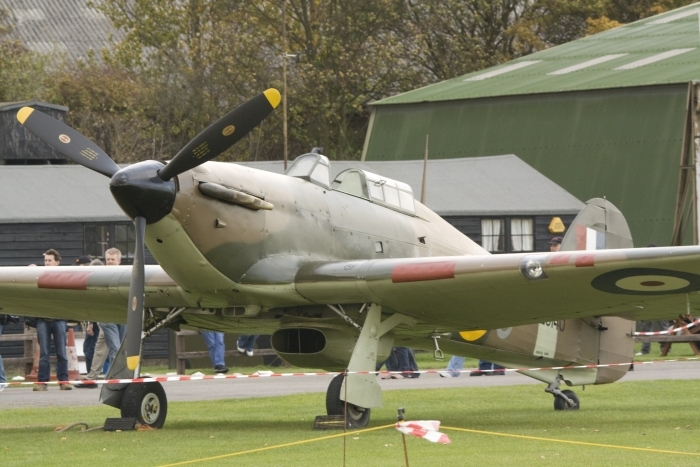 North Weald's Hurricanes saw action over Dunkirk and played a key role in The Battle of Britain. 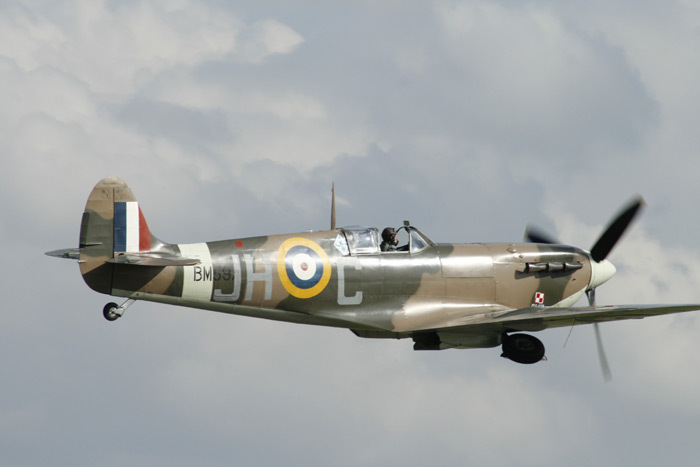 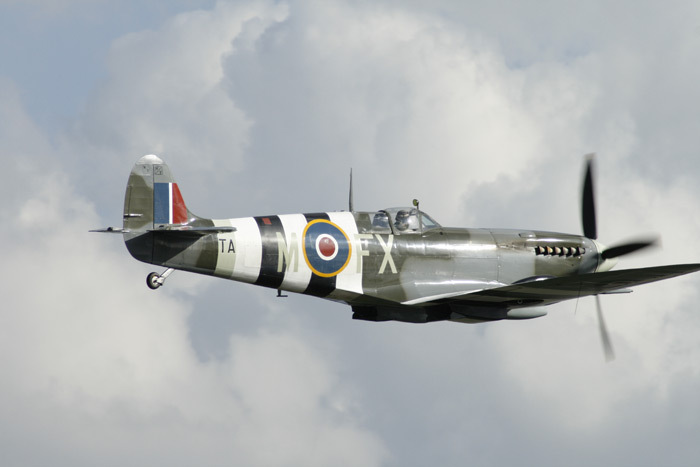 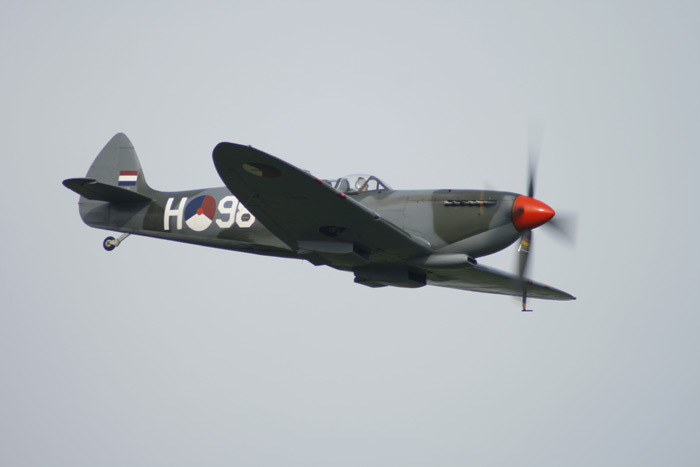 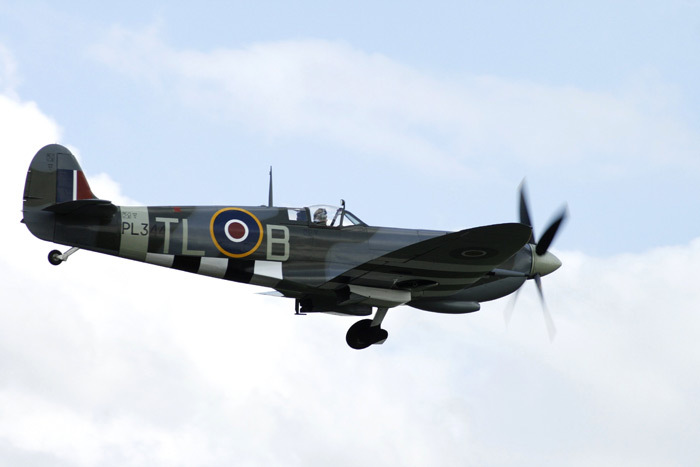 Other aircraft operating from North Weald during the war were the Supermarine Spitfire. 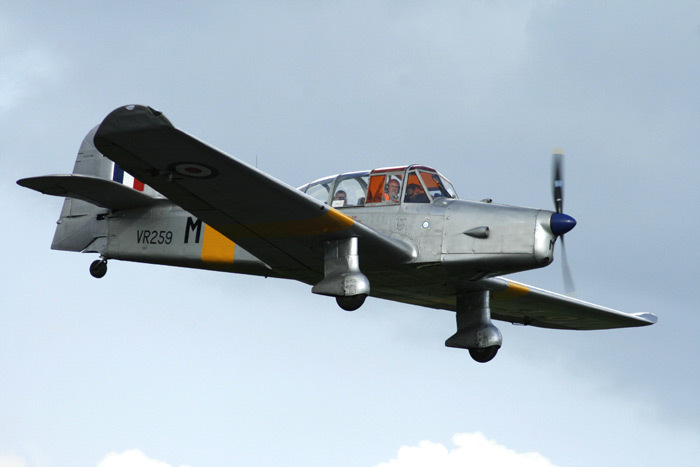 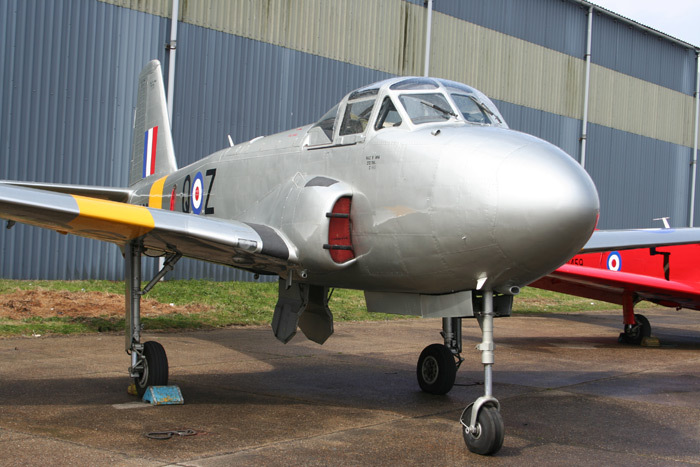 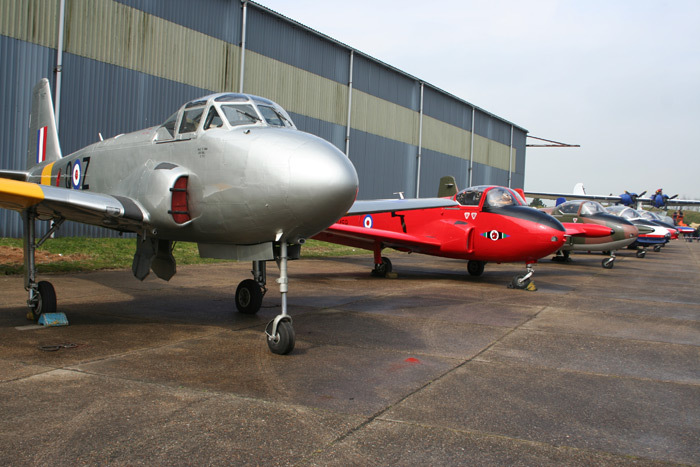 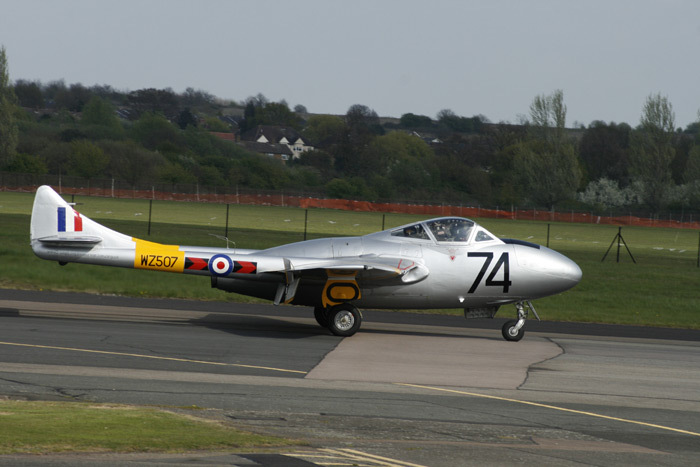 In later years the airfield was home to Gloster Meteors and de Havilland Vampire fighters. 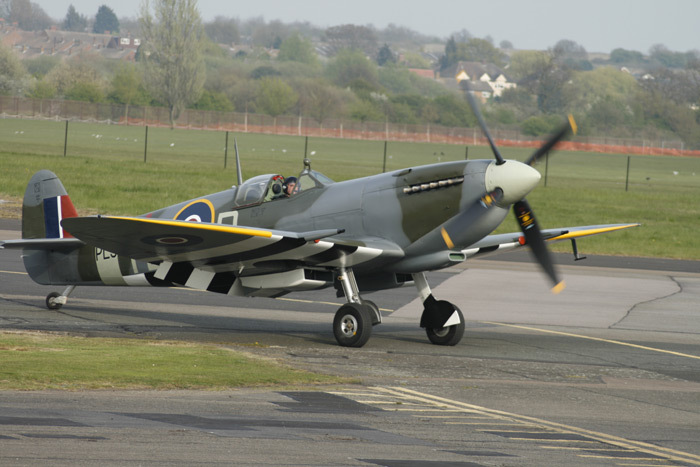 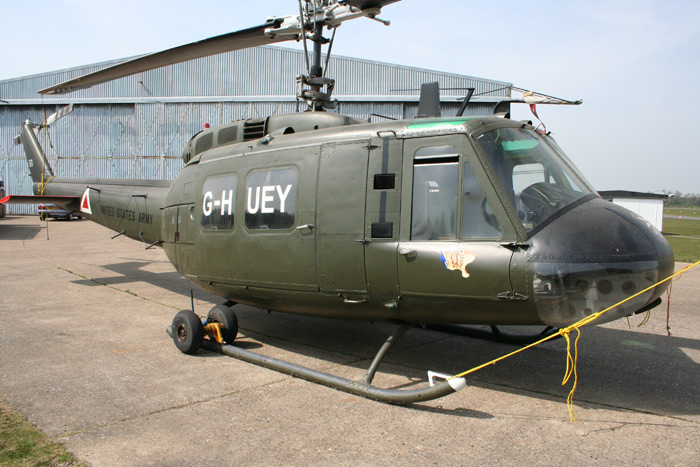 The last RAF squadron operating from North Weald was No. 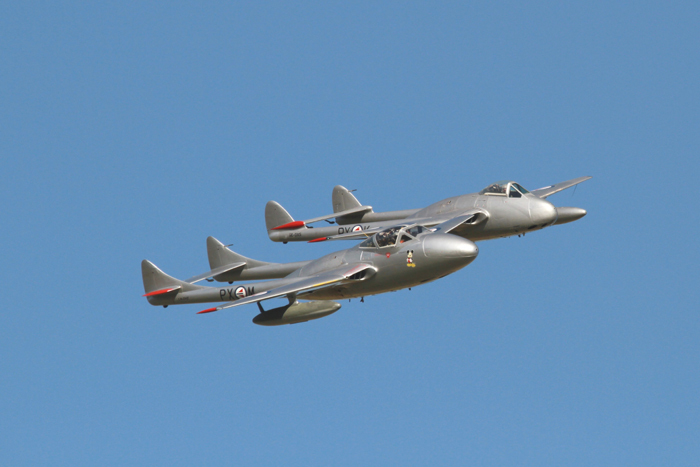 111 Squadron flying Hawker Hunters (who left North Weald in 1958) with the RAF withdrawing from the airfield in 1964. 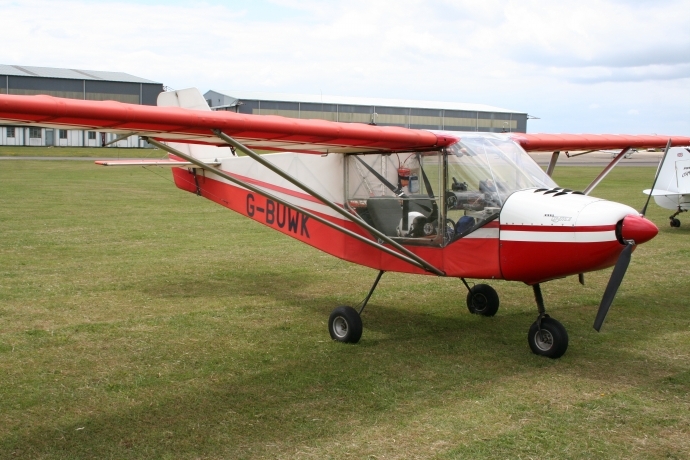 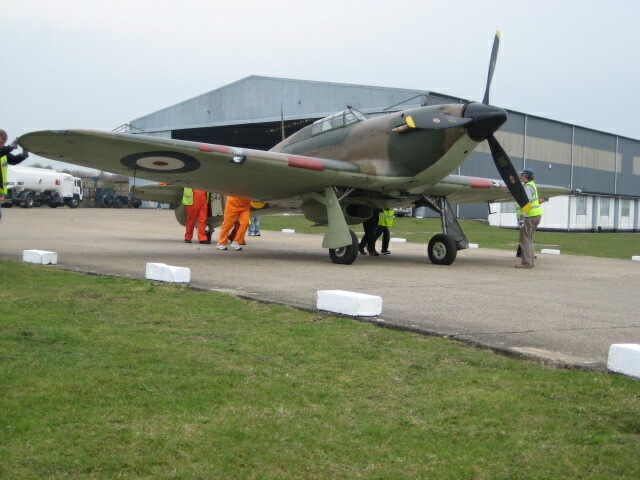 The airfield was bought by Epping Forest District Council who still own it today. 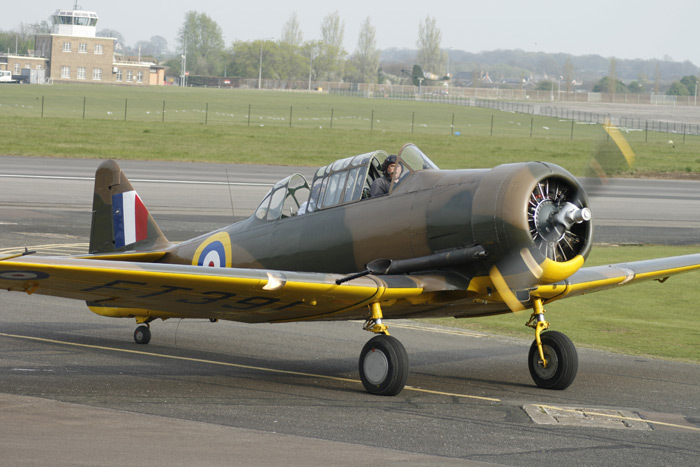 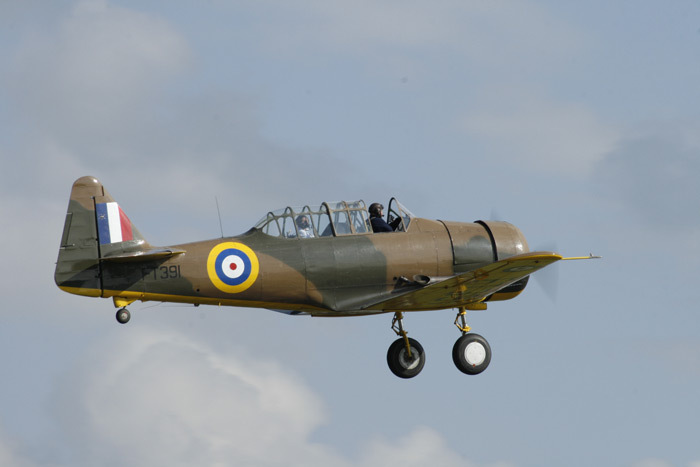 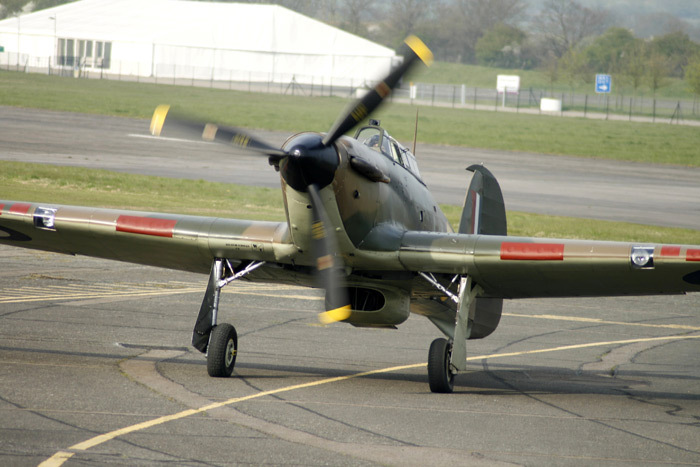 The airfield continues to be a home to many vintage and veteran aircraft, such as Spitfire, Mustang, Kittyhawk, Hurricane, Dakota, Skyraider, Seafire and Harvard. 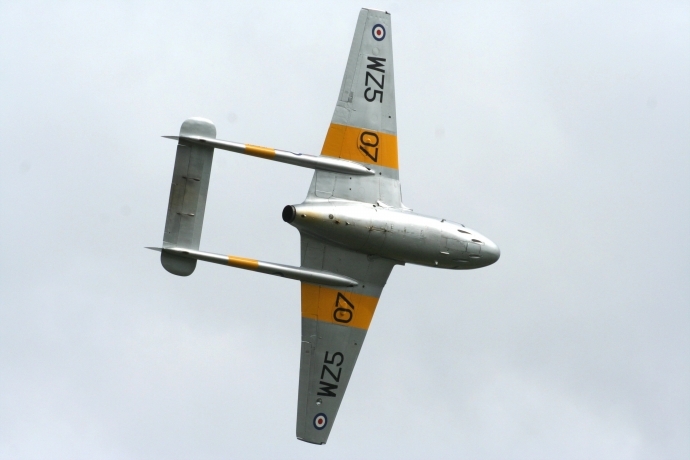 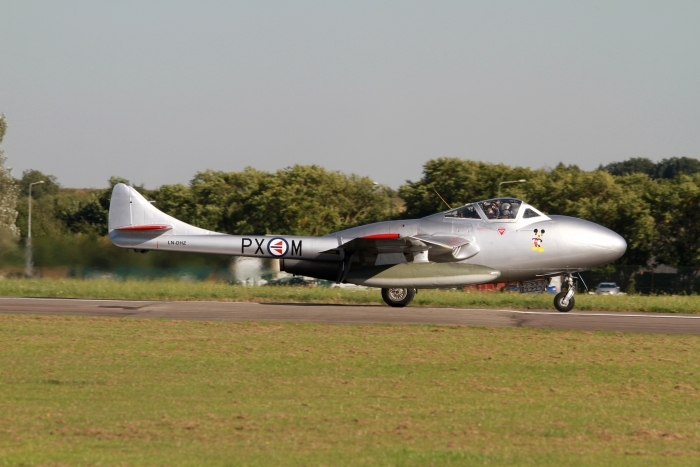 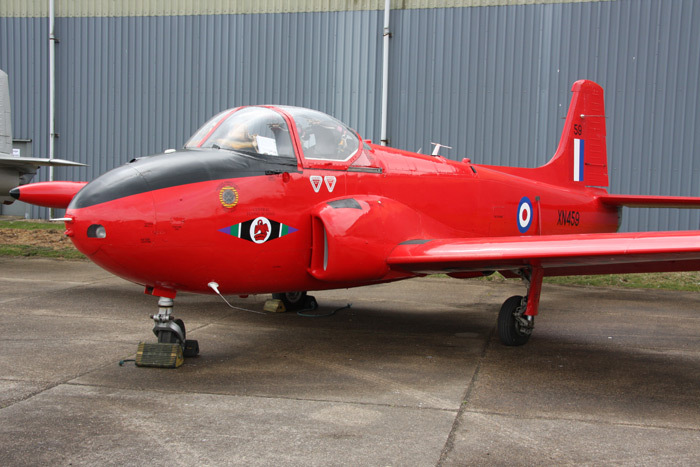 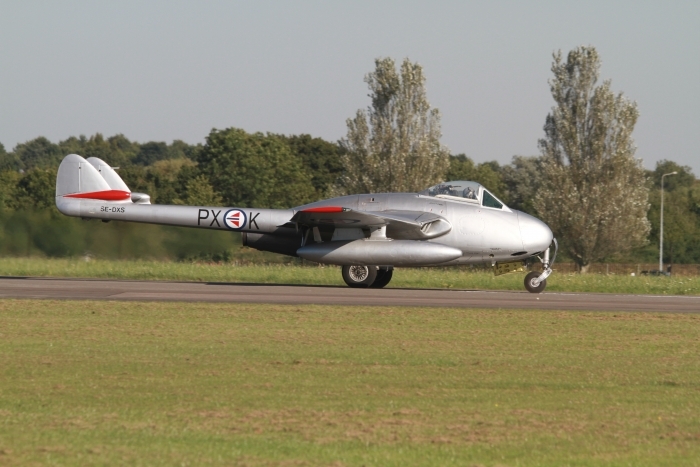 Also North Weald is home to a Vampire, Gnats and Jet Provosts. 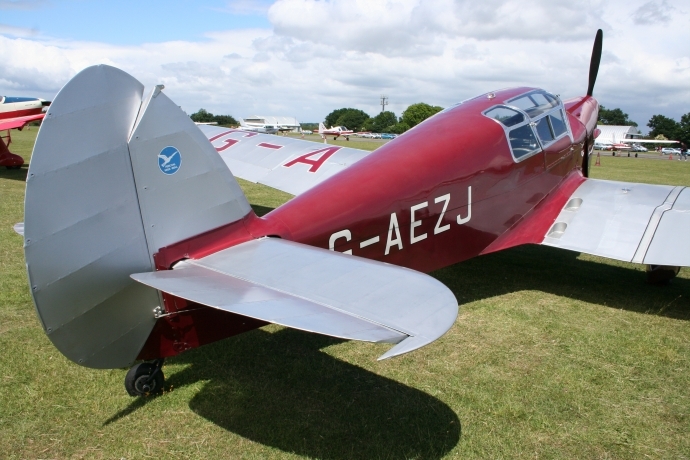 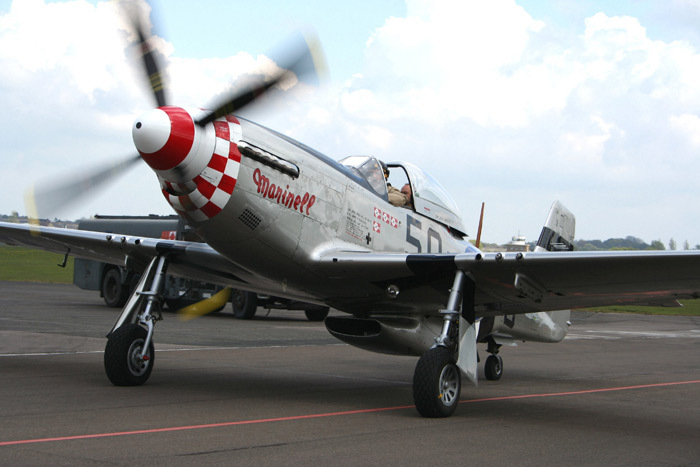 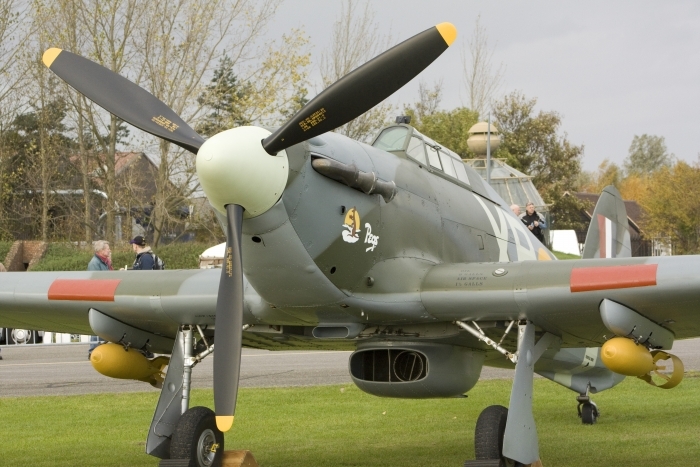 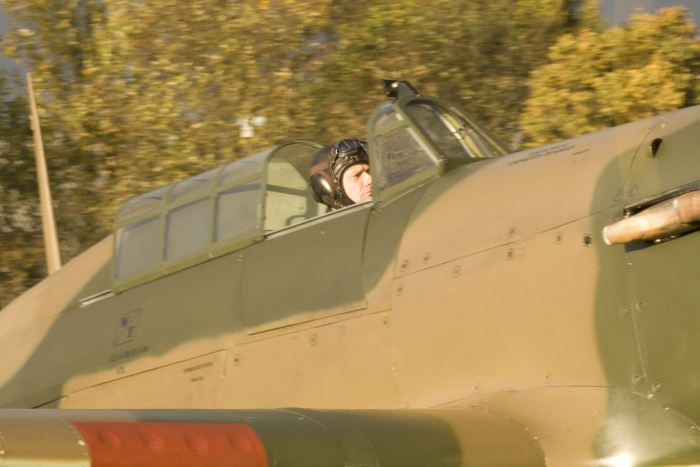 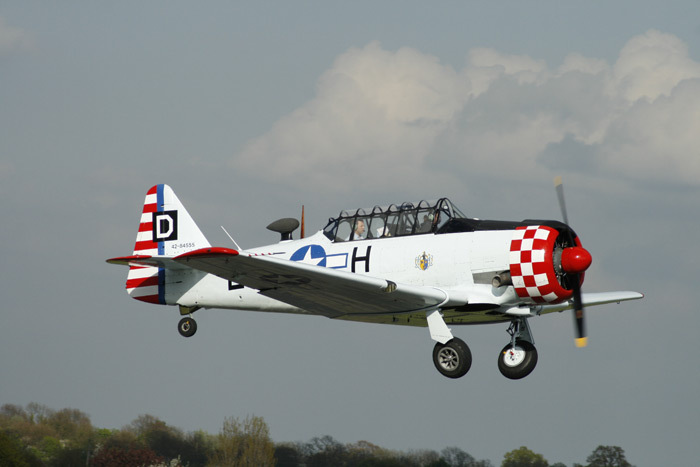 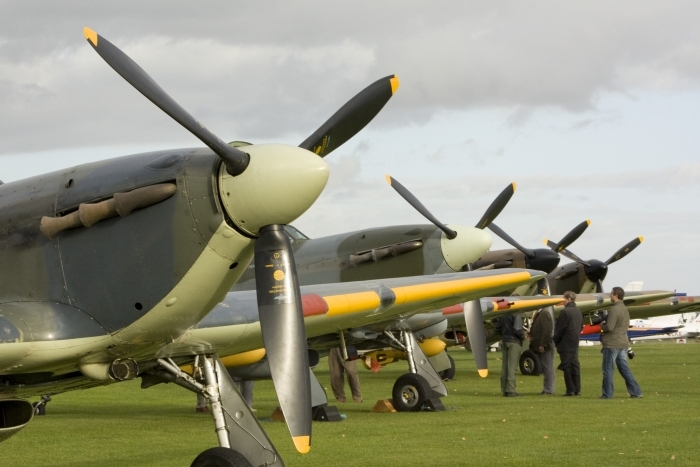 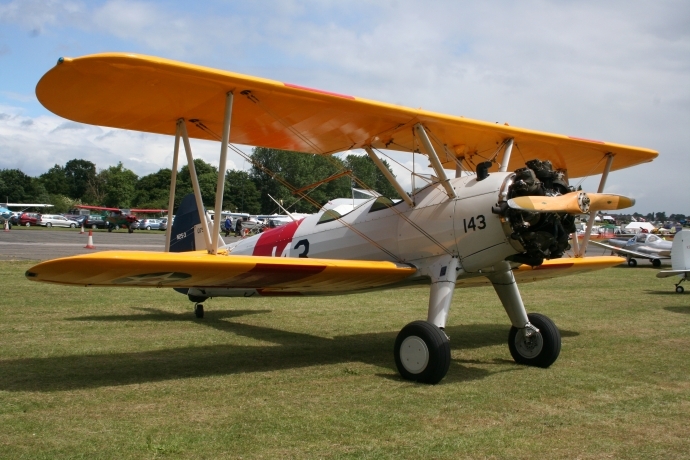 North Weald is home to warbird operators such as The Hangar 11 Collection and Kennet Aviation. 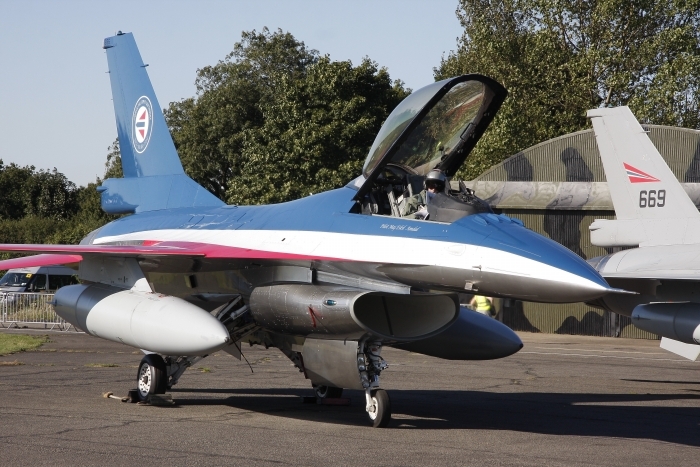 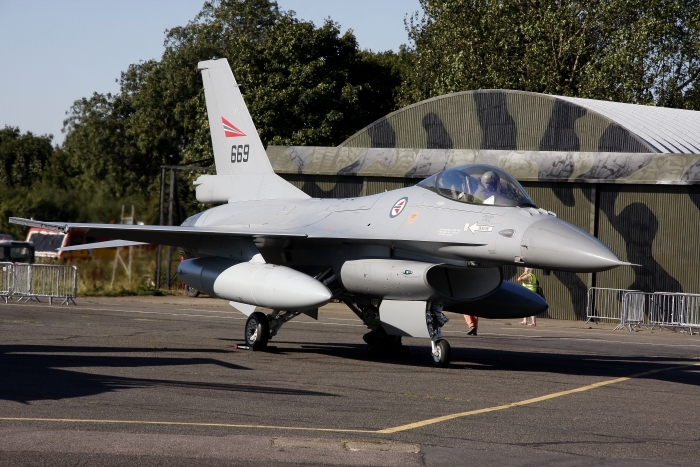 On Friday 7th September 2012 the sight and sounds of the Norwegian Air Force arrived at North Weald, a former RAF Battle of Britain airfield. 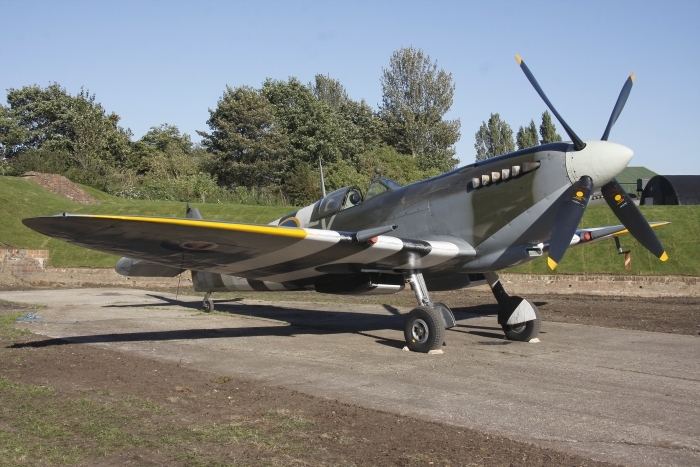 The reason for the visit was that from 1943 to 1945 two squadrons No. 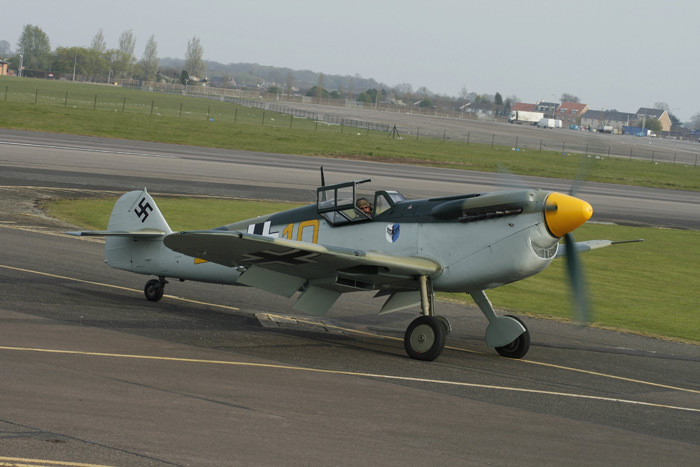 331 and No. 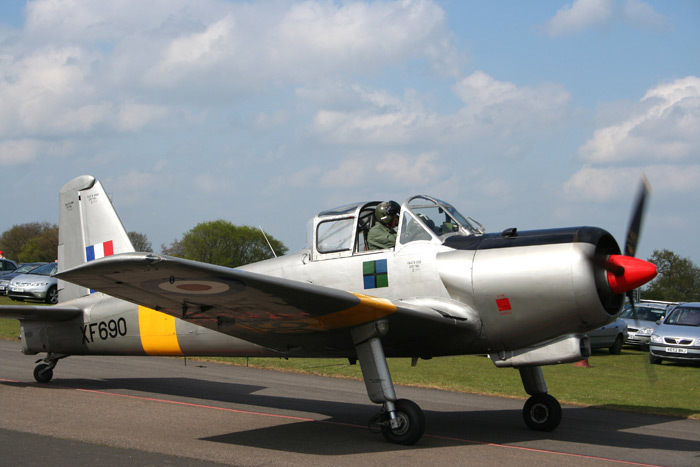 332 of the Royal Air Force were stationed at North Weald and flown mostly by Norwegians. 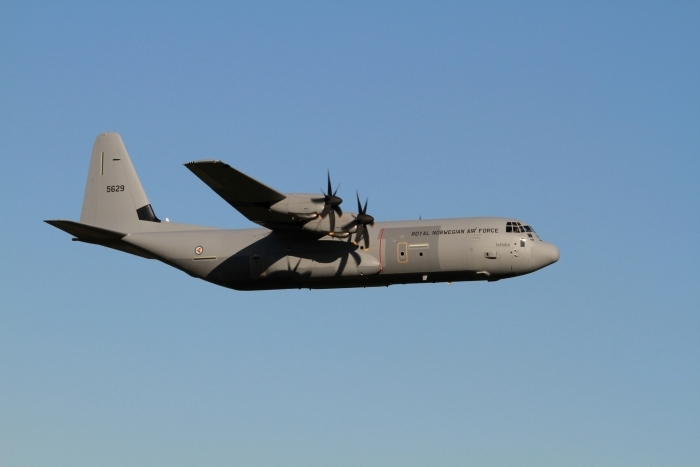 Two F-16s also arrived with a C-130 Hercules which had a number of veterans and families on board. 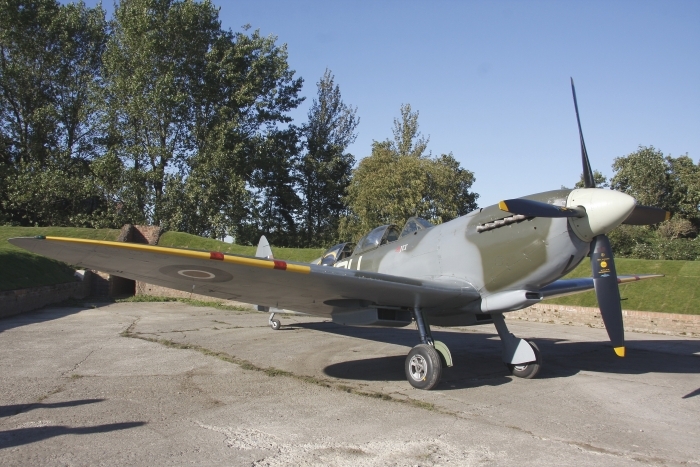 Also aircraft from the Norwegian Historic Flight arrived for this special occasion. 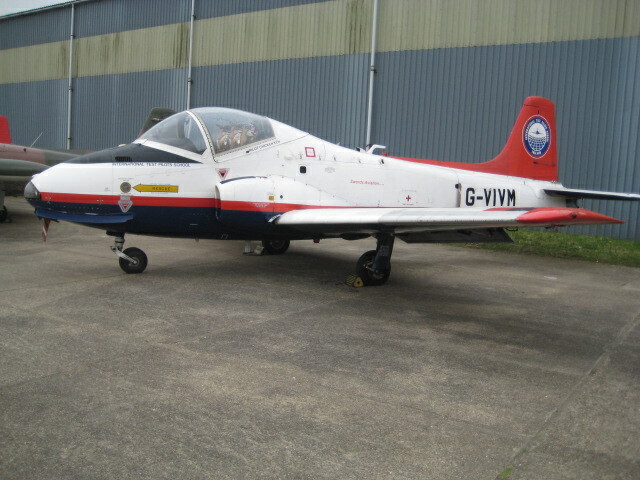 The main event took place on Sunday 9th September. 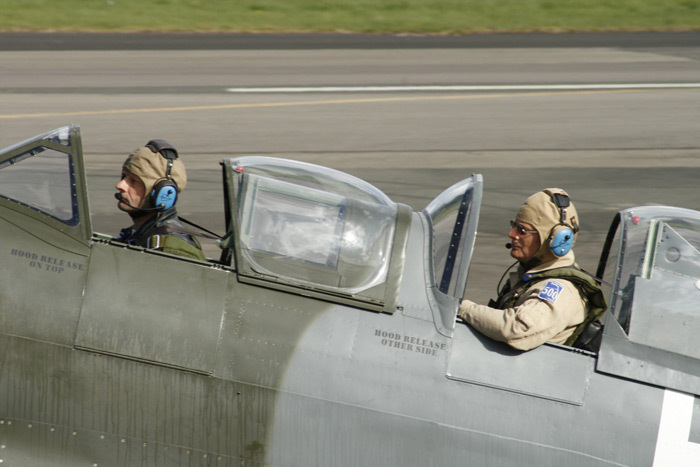 The veterans of Norway have been back regularly for the past sixty years. 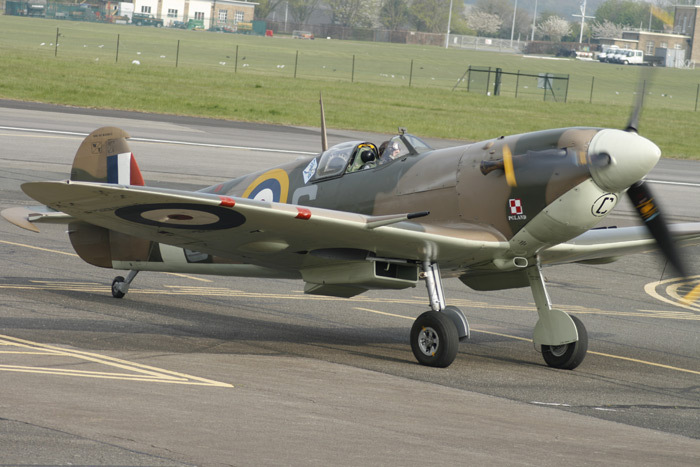 A fitting tribute. 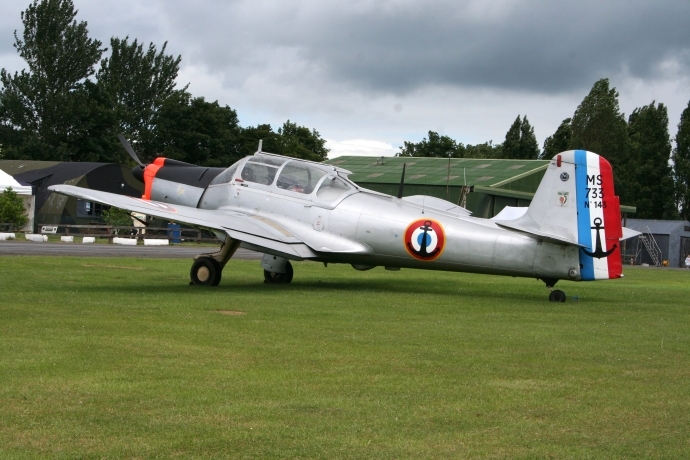 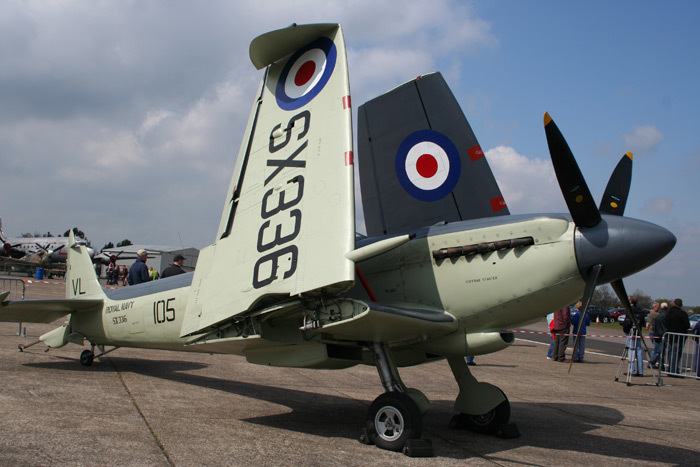 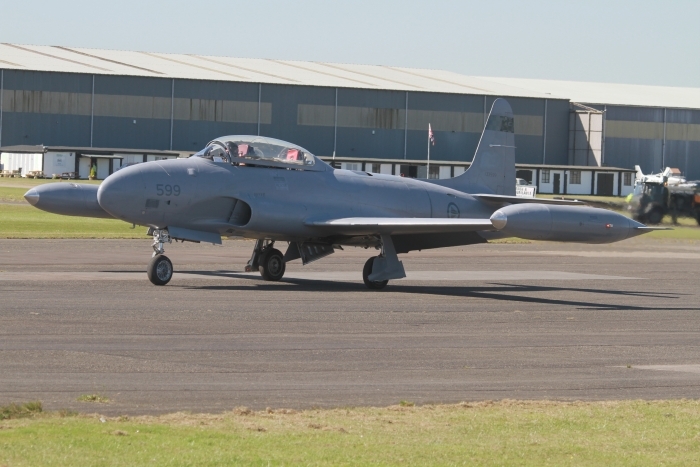 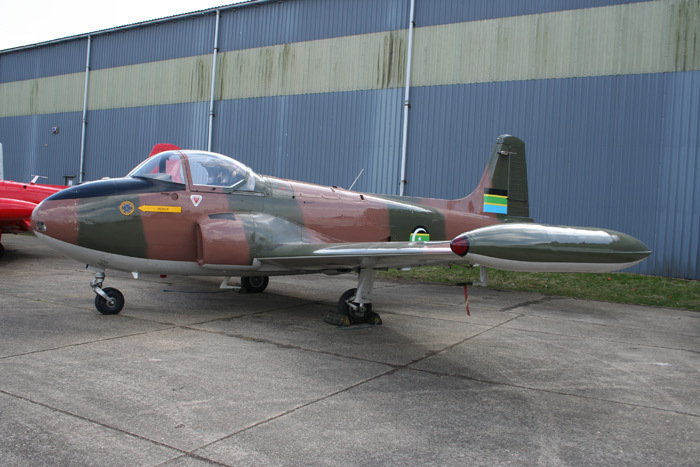 North Weald hosted a mixed event which included resident aircraft on static display, including Kennet’s Skyraider and Seafire, The Vampire Preservation Group's Vampire T11 (which also flew later in the day) and also included a line up of Provosts and a Strikemaster. 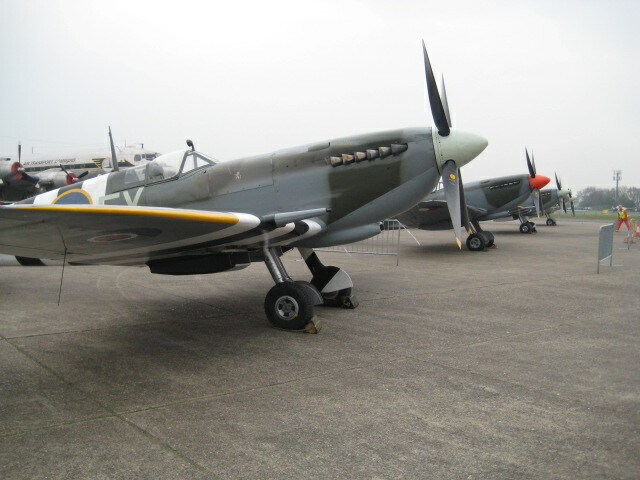 Early visitors included a DC-3 and Venom from Coventry and several Spitfires, a Hurricane and the Hispano Buchon from Duxford. 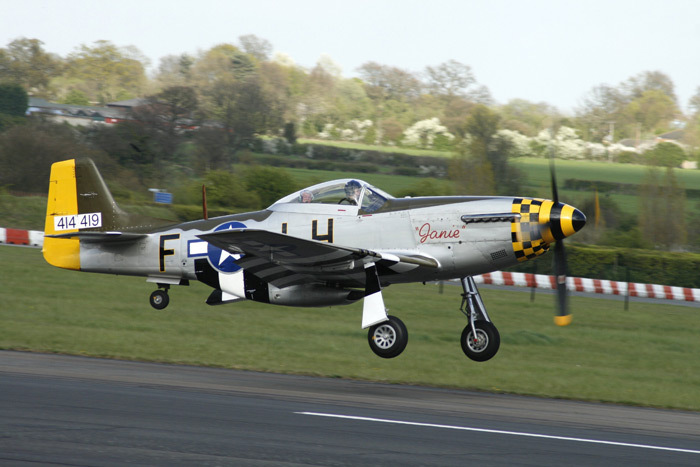 Later in the day Maurice Hammond’s pair of Mustangs arrived. 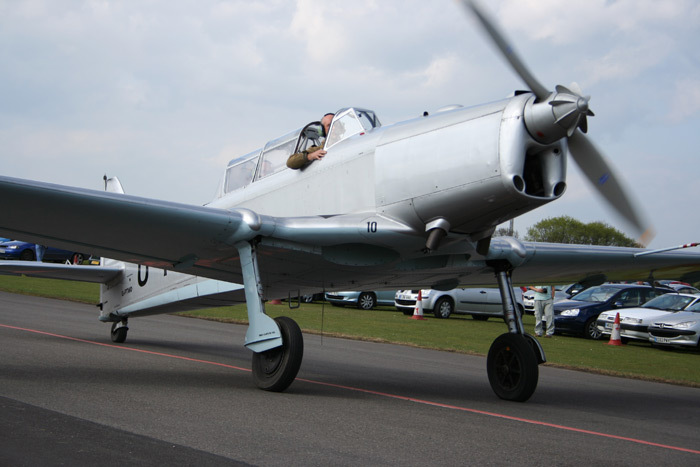 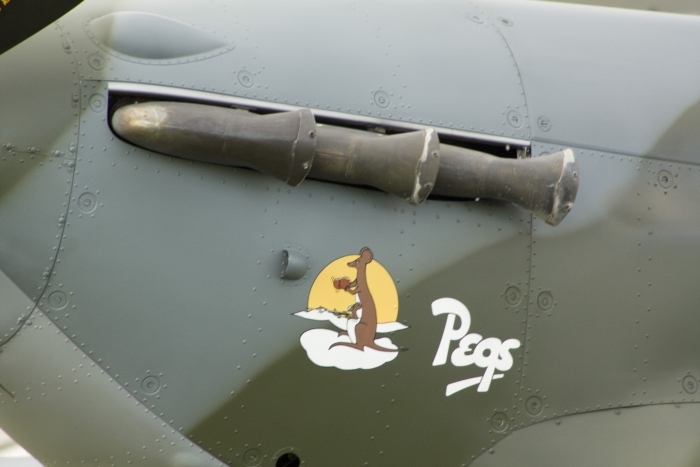 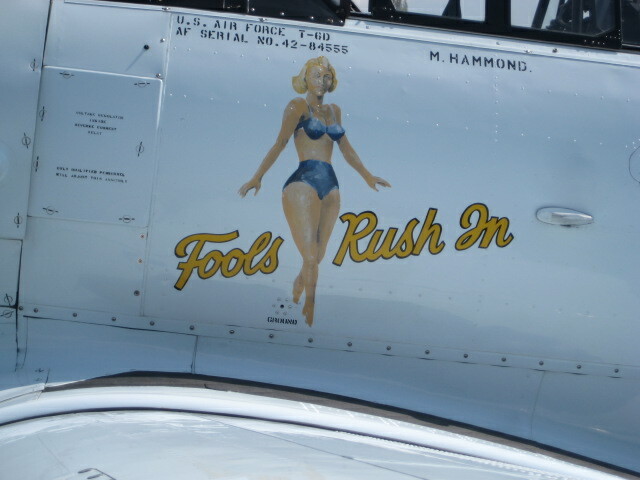 There were good photo opportunities to be had and a chance to talk to the aircraft owners and pilots. 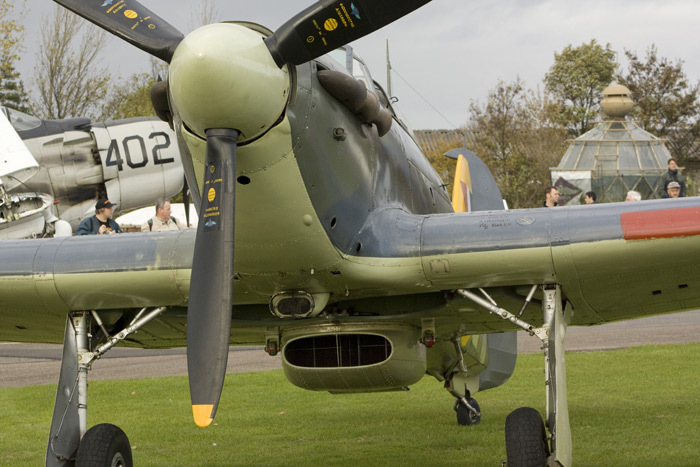 With a large display in the hangar with the added bonus of a large gathering of WWII veterans that were on hand to sign books, prints and share their experiences with the long queue of enthusiasts waiting to meet them, a well organised event. 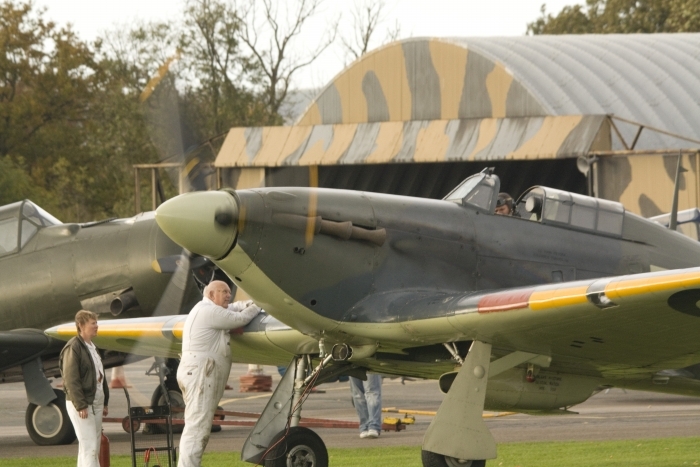 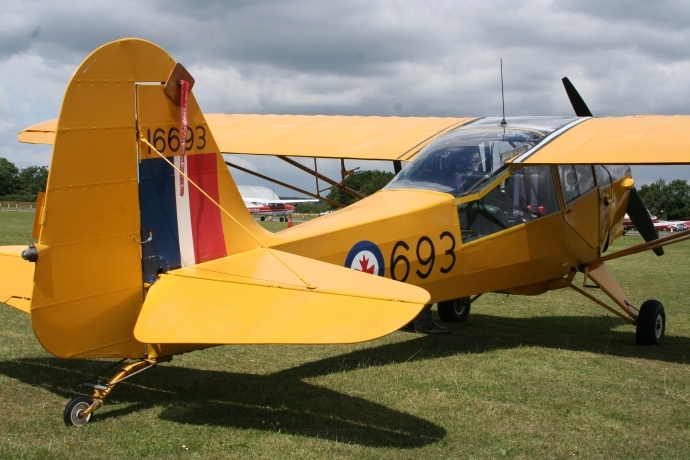 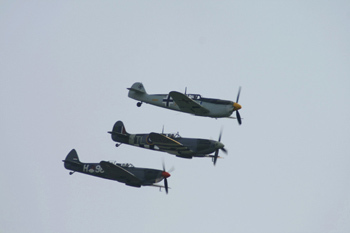 North Weald being an Ex RAF station many years ago was brought alive for the Warbirds Fly-in. 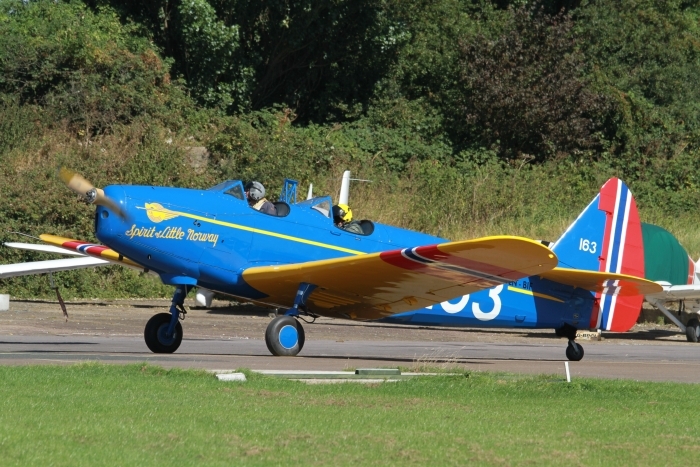 It was a nice pre-season warm up for the enthusiasts. 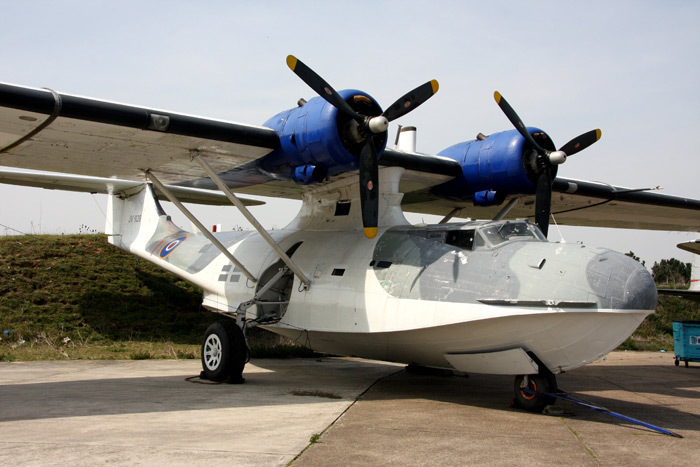 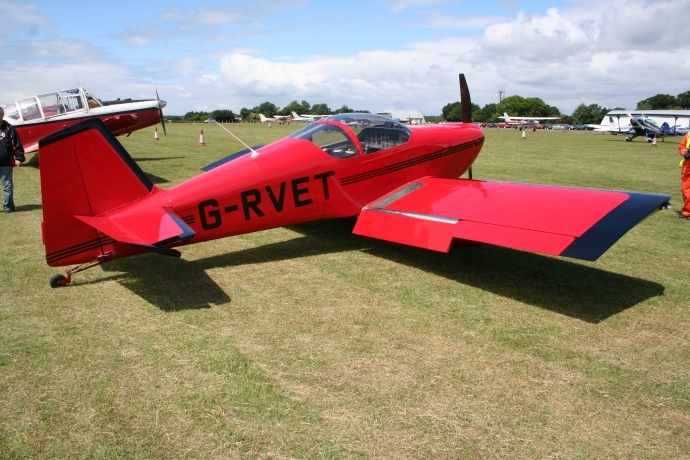 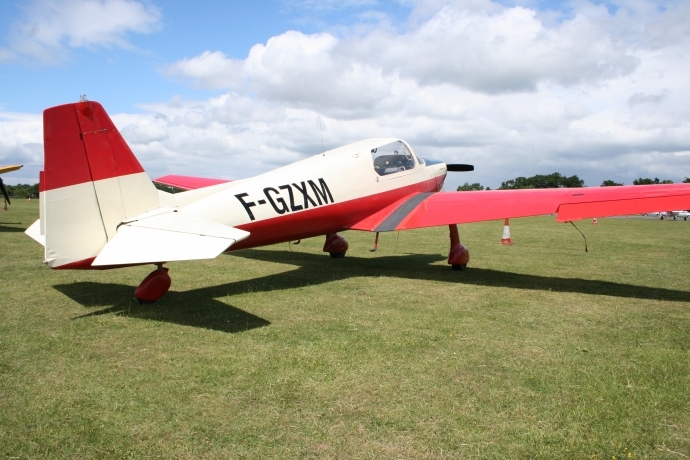 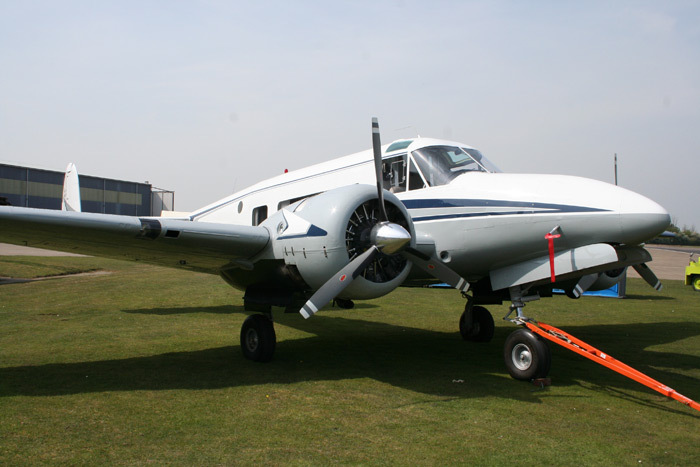 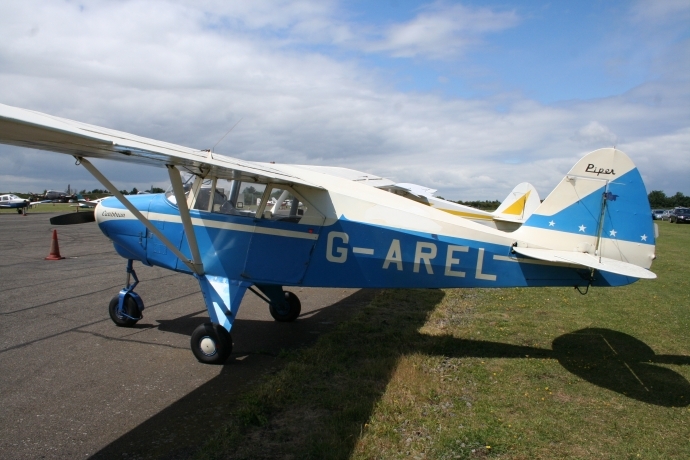 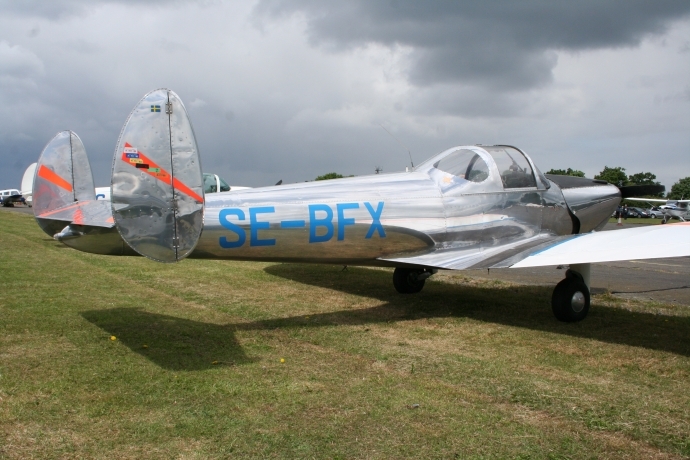 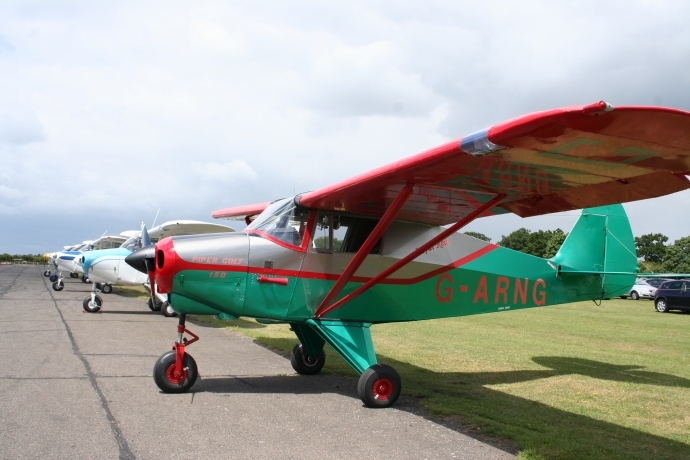 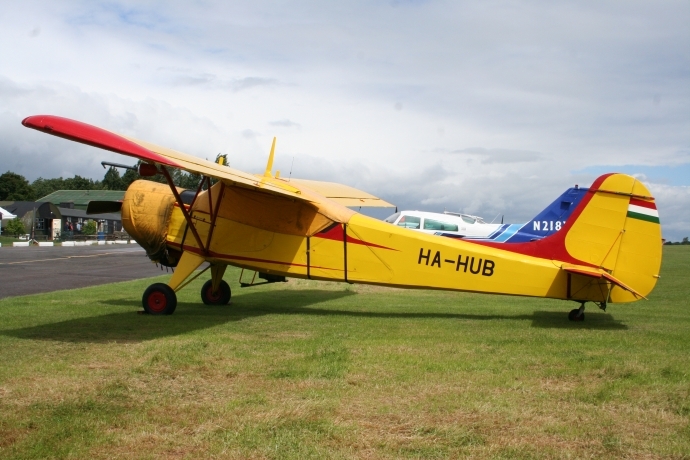 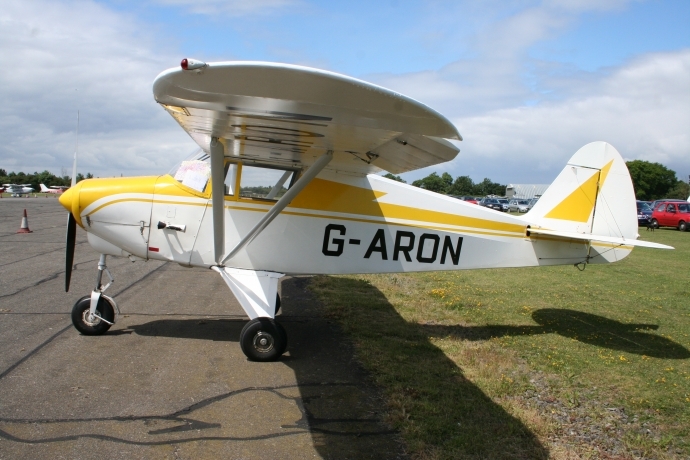 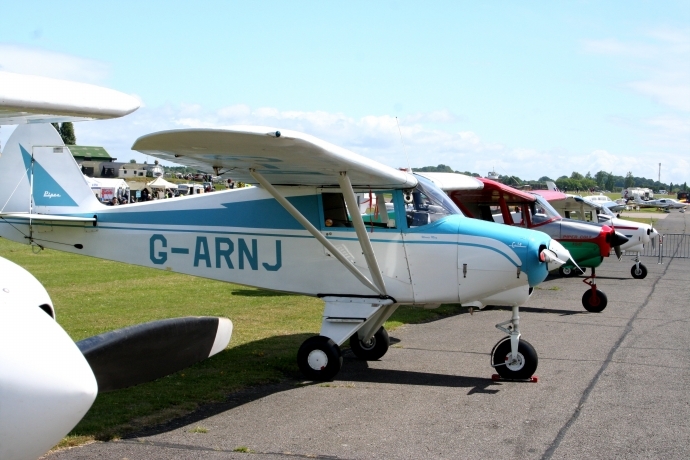 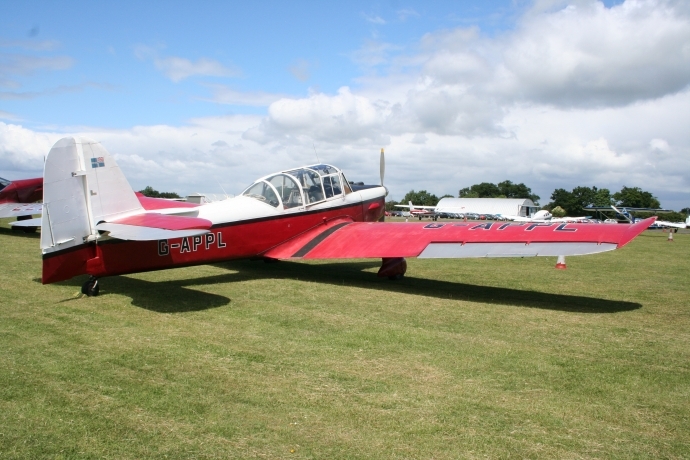 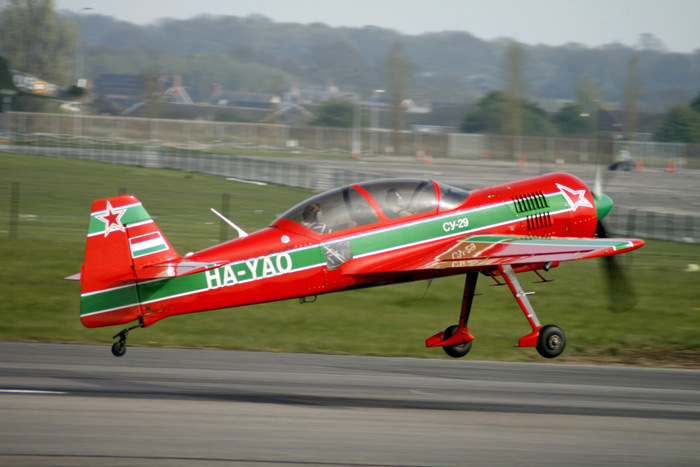 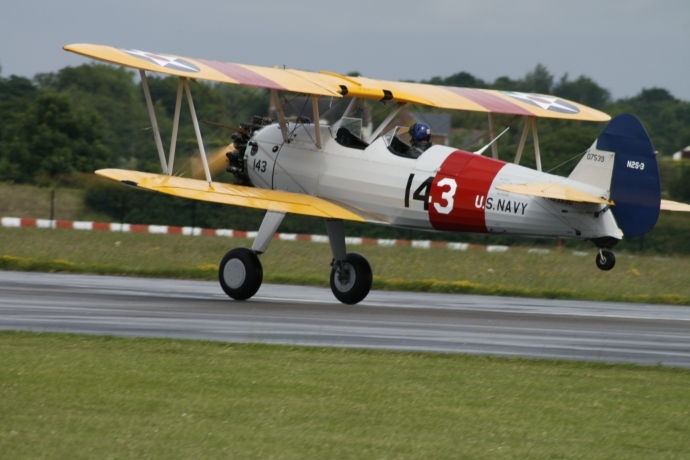 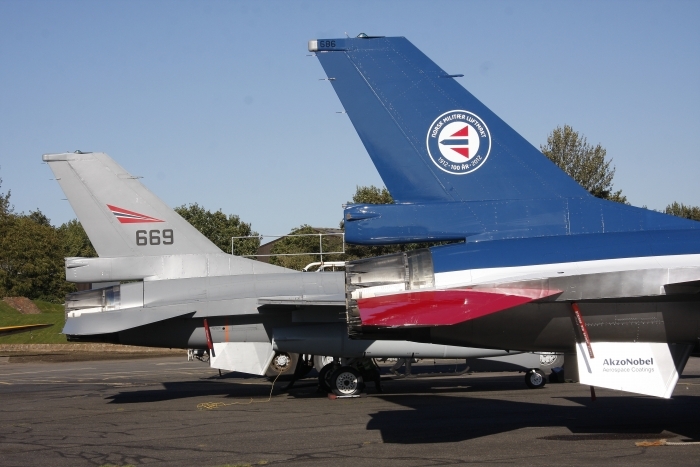 The Aircraft Restoration Company (ARC) brought several aircraft in. 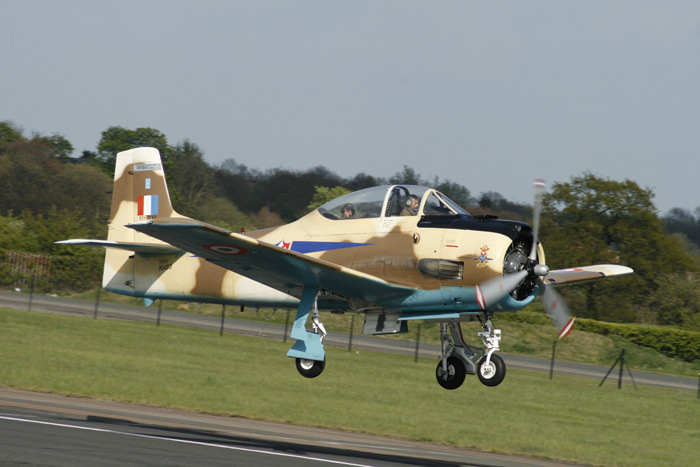 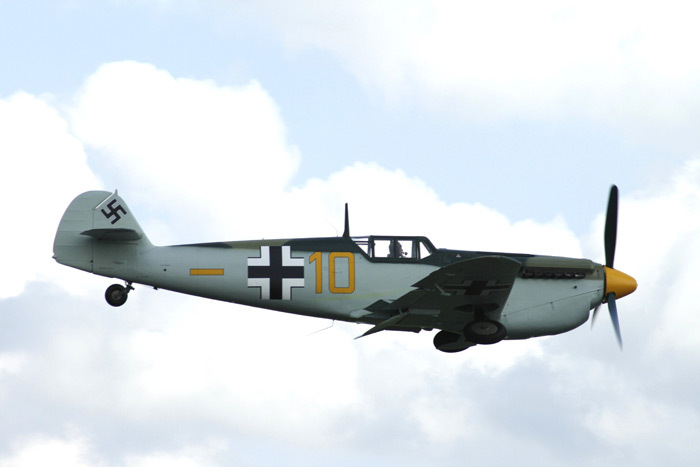 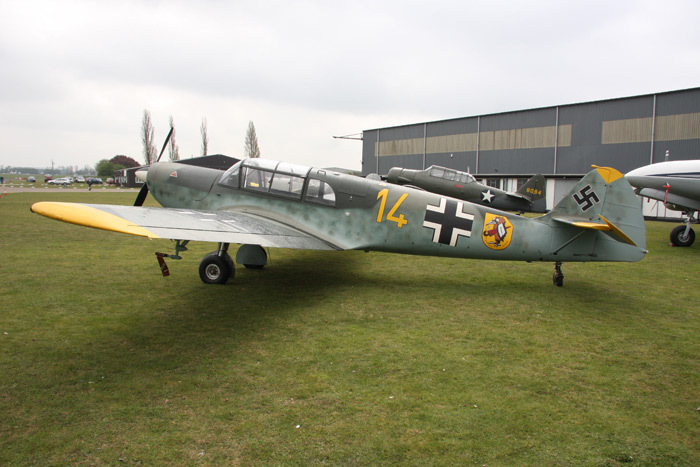 One of which was the Buchon, painted back in the colour scheme in which the aircraft was flown in The Battle of Britain film. 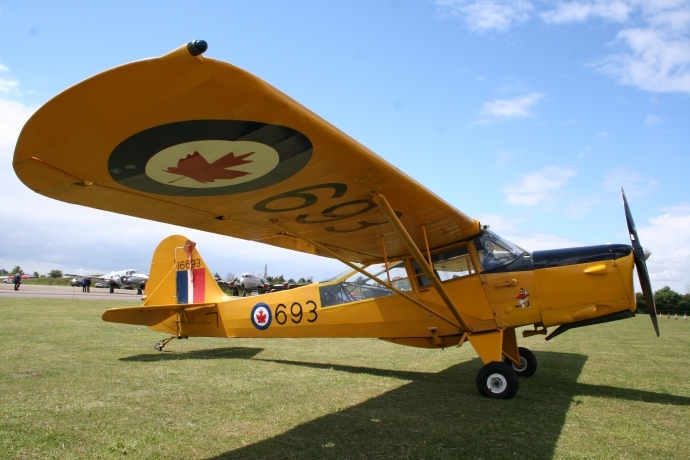 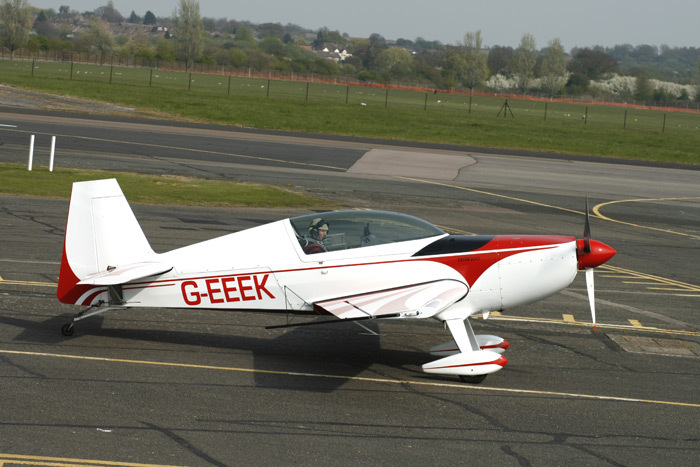 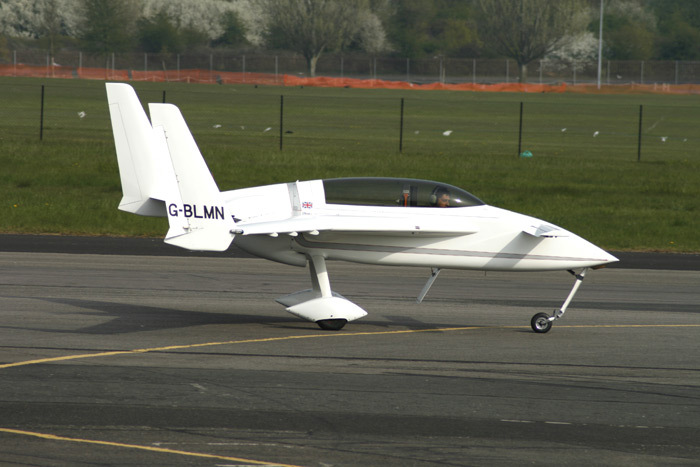 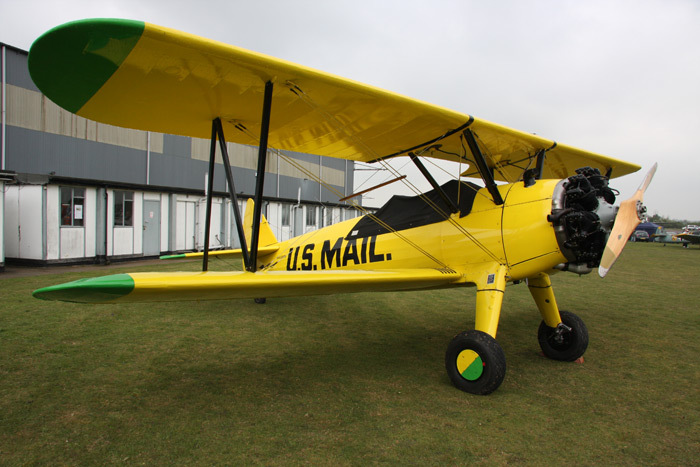 A lot of interest was shown in this aircraft, which was flown by John Romain and out in the public domain for the first time. 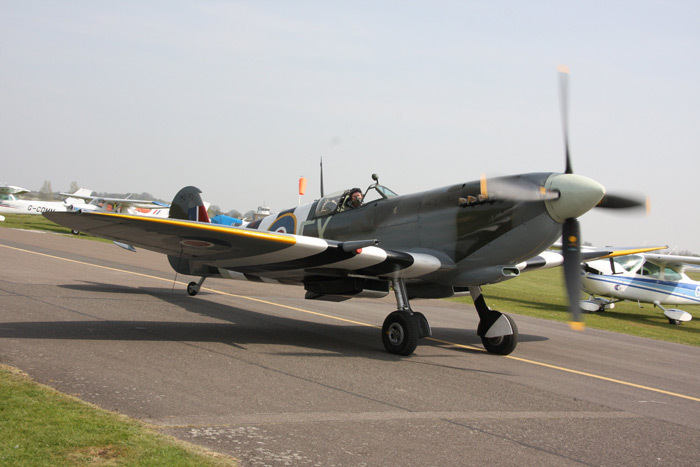 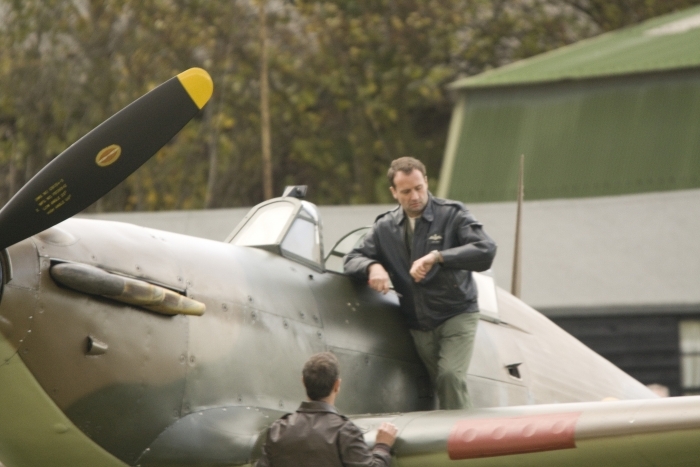 Charlie Brown brought in a Spitfire with Dave Harvey flying the HAC Hurricane. 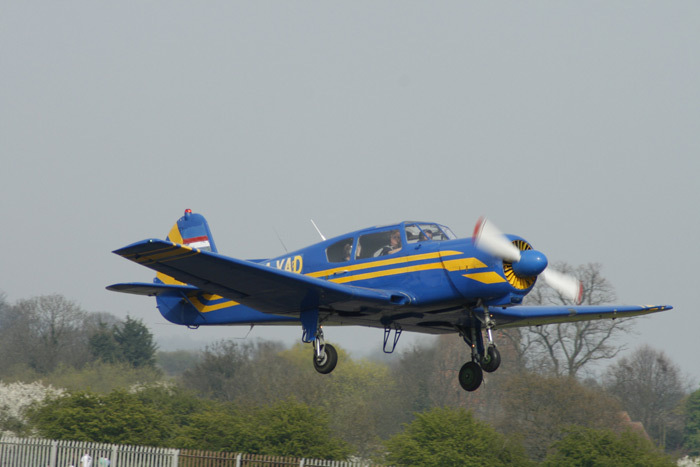 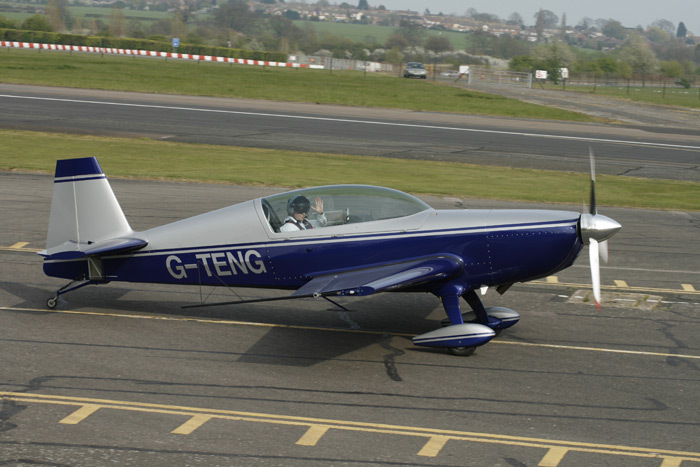 Other pilots who supported the day were Cliff Spink, Rod Dean, John Beatty and Ray Corsten. 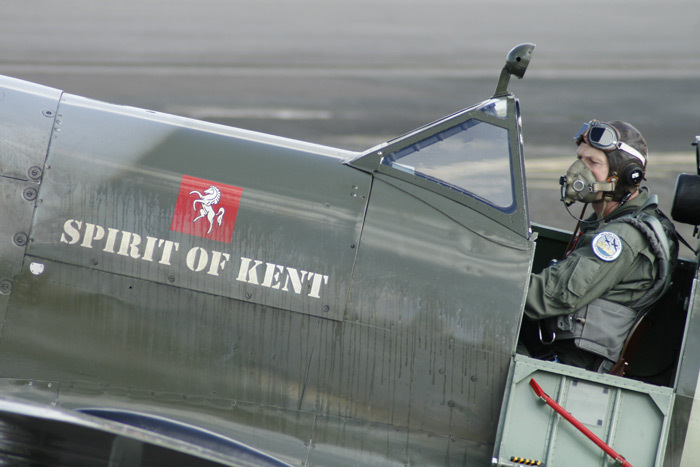 Another Spitfire attending the event was The Spirit of Kent flown by Clive Denney. 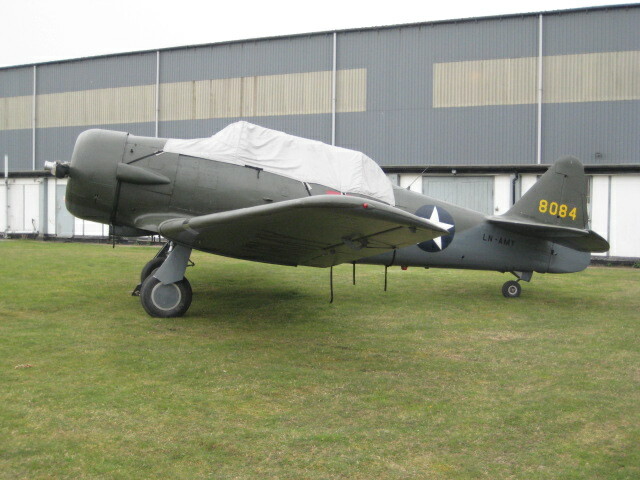 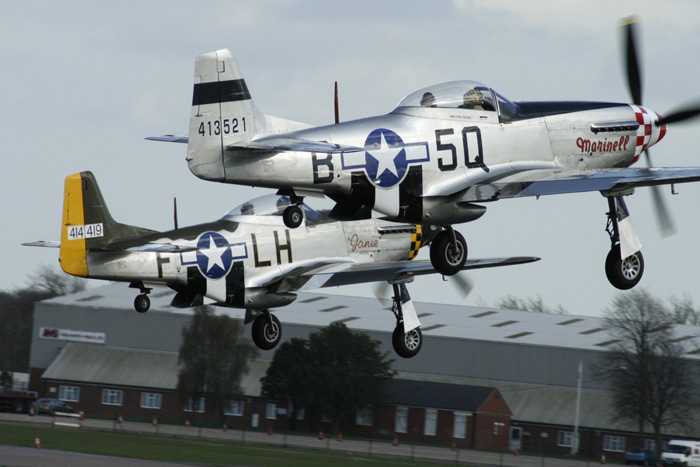 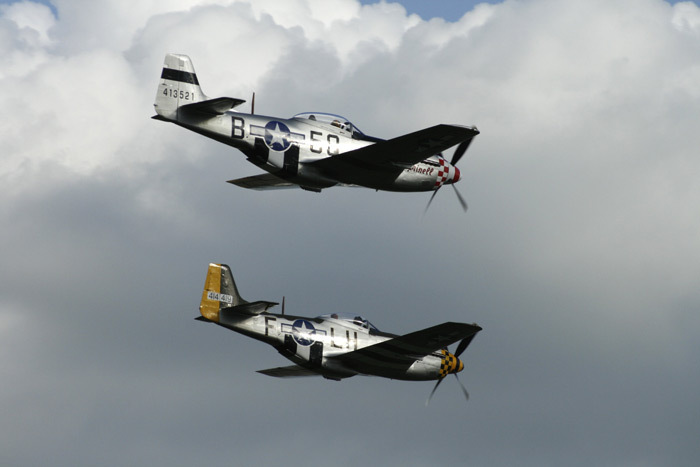 Other aircraft attending were Harvards and Maurice Hammond's pair of Mustangs, which arrived late in the day due to adverse weather conditions. 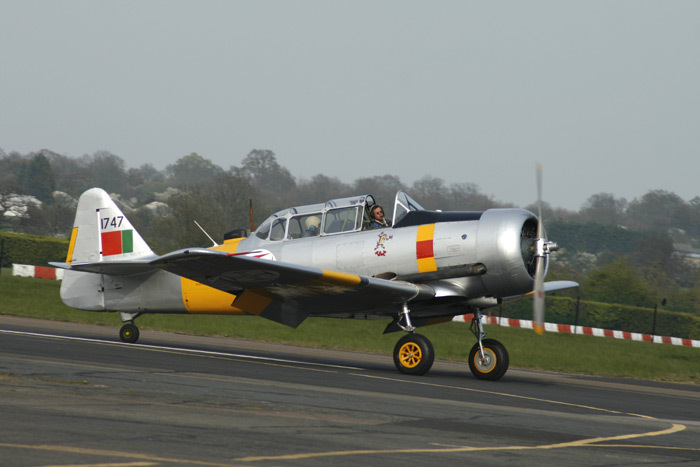 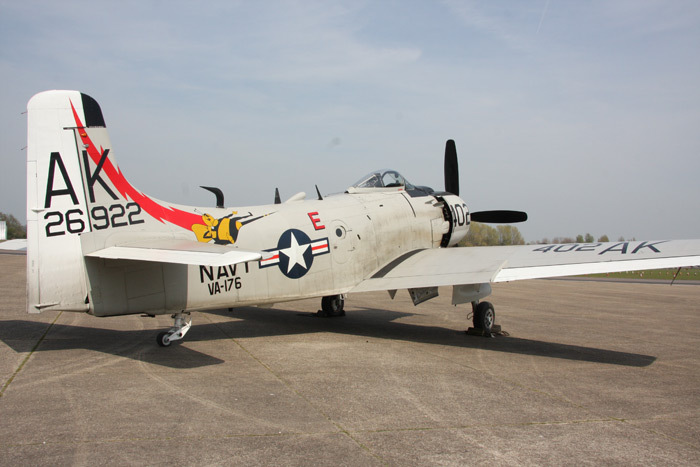 The largest aircraft flying in was a DC-3 in Air Transport Command colours from Coventry and of course North Weald's resident aircraft were on static display, including Jet Provosts, a Skyraider and the Seafire. 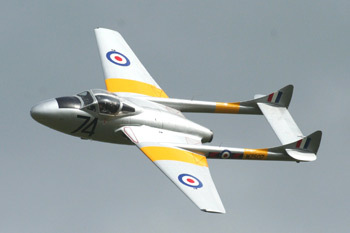 It turned out to be a worthwhile day for the enthusiasts, with an estimated crowd of over 2000 people. 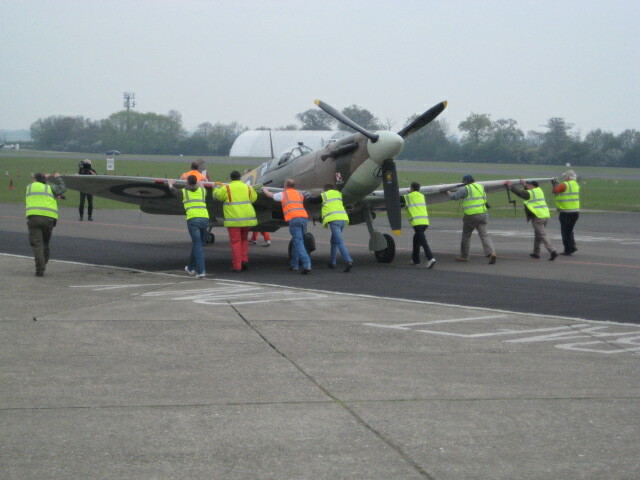 Proceeds from the entry fees were donated to Help for Heroes. 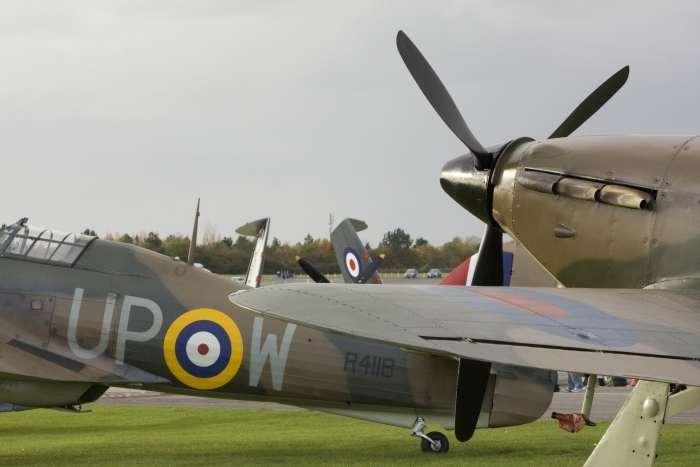 Also of note were the World War II veterans who kindly gave up their time to meet the public and sign prints and books etc. 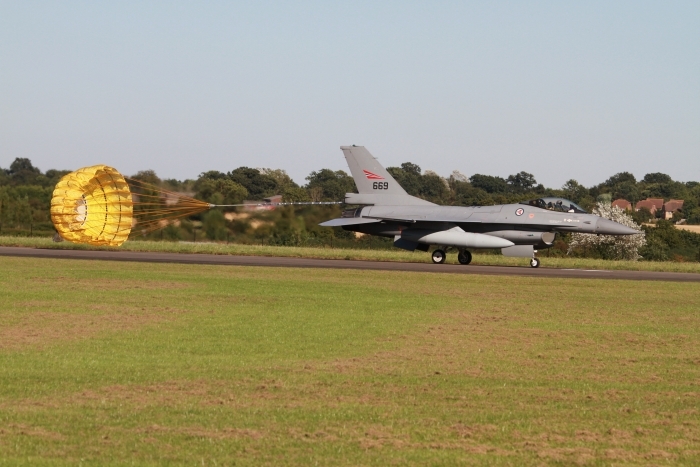 Overall this event was a credit to those who gave their time to organise it. 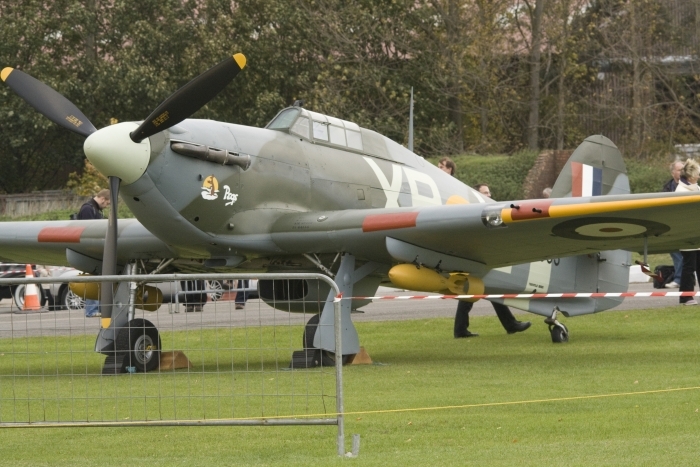 This event was staged towards the end of the flying season and was organised by The Sir Sydney Camm Commemorative Society to help raise funds to buy and erect a Hurricane replica in Sir Sydney Camm's home town of Windsor to celebrate his life, 1893 - 1966. 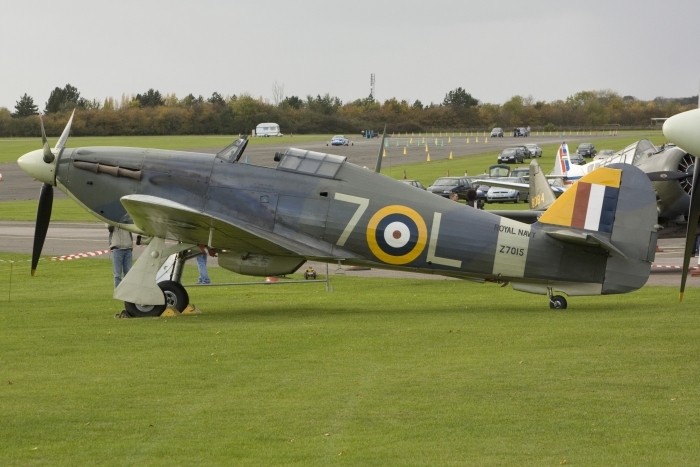 This well organised event brought together four airworthy Hurricanes. 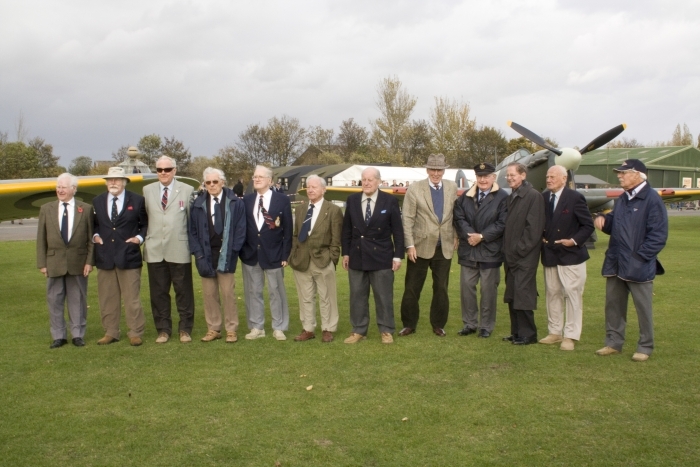 Their owners and pilots and no less than twelve wartime Hurricane pilots. The veterans were on hand to meet and talk to the large gathering of enthusiasts and also carry out interviews and were available for book and print signings. 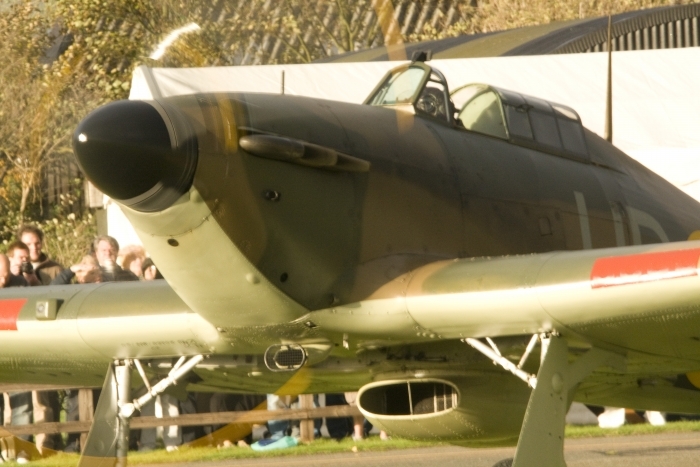 All four Hurricanes were available to photographers on static display and the three visiting aircraft carried out flypasts on their departure in the late afternoon. 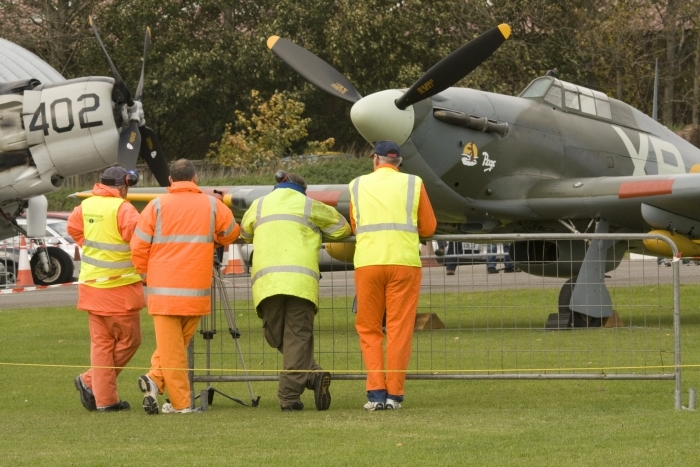 Many thanks to the Hurricane operators and event staff who helped to make this event possible. 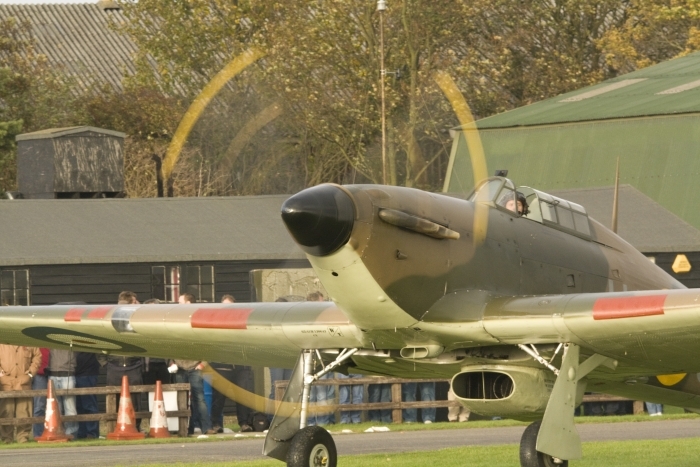 Maybe this will become an annual event (a North Weald Hurricane meet). 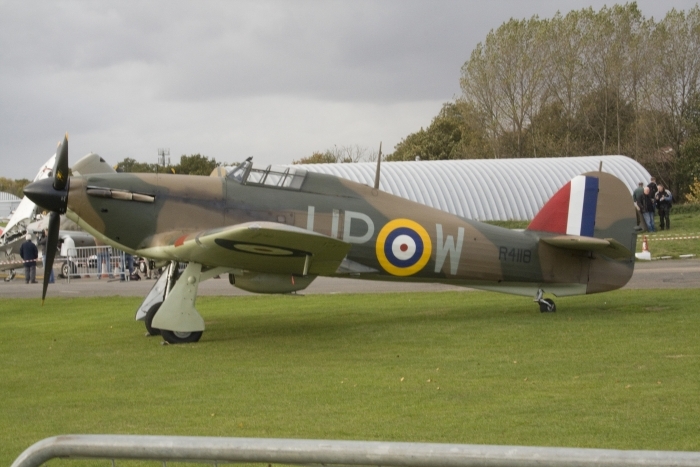 Full credit is deserved by The Sir Sydney Camm Trust for organising this event at North Weald, a former World War II Hurricane base.